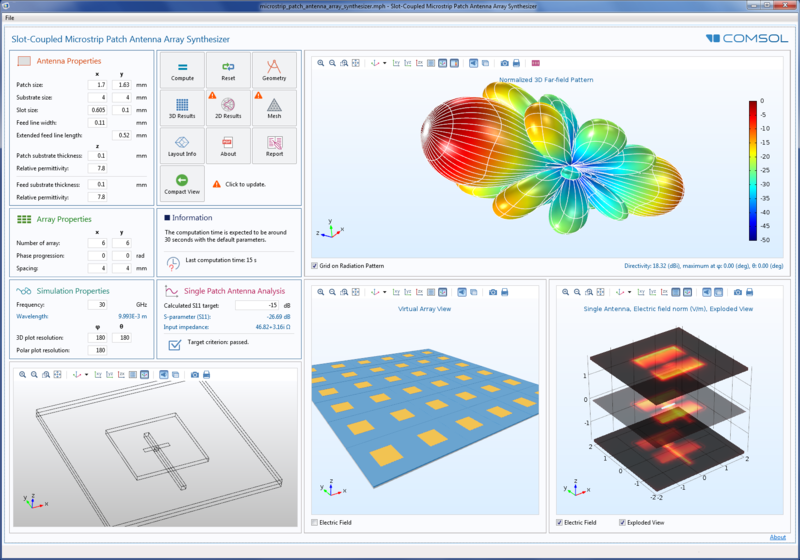 Today, guest blogger Mehrzad Tabatabaian discusses turning COMSOL Multiphysics models into apps, a point of focus in his book COMSOL5 for Engineers. Accurately predicting the behavior of objects and systems is a key element in any design workflow. Computational tools like COMSOL Multiphysics help to ensure this, enabling simulation experts to easily test different designs. Now, with the Application Builder, these experts can turn their models into easy-to-use apps that can be accessed by a larger technical community. When simulation technology first emerged, its use was limited to a small group of experts who understood the complex nature of building and manipulating models. But, as the technology continues to grow, simulation is entering an era of democratization. There is a drive to make simulation capabilities available to a wider audience, empowering more and more people to run their own tests. That, of course, requires presenting models in a simplified format that can be easily understood by those with little simulation knowledge. The Application Builder is a revolutionary tool that does exactly that. Say you have built a model in COMSOL Multiphysics. You now have the ability to transform your model’s selected functions into a practical, interactive simulation app. How you decide to design the app is up to you. The flexible nature of the tool gives you control over your app’s layout, from the parameters that are available for modification to the overall complexity that is included. The end user — whether it be an engineer, a designer, a student, or an instructor, for instance — can then analyze the design without knowledge of the underlying complexities of the model. The user interface (UI) for apps, as you can see, is rather simple and intuitive. COMSOL5 for Engineers discusses this revolutionary tool in greater detail, while highlighting the process behind turning models into apps. COMSOL Multiphysics is a valuable tool for engineers and scientists, helping them to address complex real-world problems in a virtual setting. COMSOL5 for Engineers speaks to the benefits of the software, with various guidelines provided to get you started on creating your own models — and now, simulation apps. The multiphysics models that are featured address a range of problems, both simple and complex, with engineering principles, design criteria, and mathematical fundamentals presented for each of them. Several of these models are then used as the basis for building simulation apps, which is a relatively easy process, as you will see. In total, 28 models and eleven apps are featured, all of which include step-by-step instructions on how to build them. The examples are grouped in relation to their particular physics, which range from structural mechanics and fluid flow to heat transfer and equation-based modeling. Several exercise questions are incorporated into the mix, tying back to each example. An accompanying CD allows you to import the models for further changes and applications. Note: In an upcoming blog post, I will walk through the steps behind creating an app for the fin design referenced above. Stay tuned! In the race to extend the accessibility of simulation power, the Application Builder is leading a new wave of promise. Rather than simply presenting results in a graph, simulation experts can now develop an interactive tool that makes running simulation tests and obtaining results a straightforward process. Simulation power will continue to extend its reach in the upcoming years as more experts embrace the opportunity to create simulation apps customized to their needs. Why not get started building apps today? 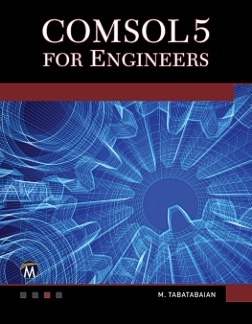 To learn more about COMSOL5 for Engineers or to purchase the book, click here. 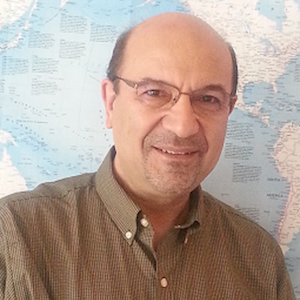 Dr. Mehrzad Tabatabaian is a faculty member and the program head for the Mechanical Engineering Department, School of Energy at the British Columbia Institute of Technology (BCIT). Along with over fifteen years of teaching experience, Tabatabaian performs research on alternative energy systems and serves as the research committee chair for the School of Energy. He has authored several textbooks and published papers in scientific journals and at conferences, and he also holds several patents in the energy field, including fuel cell, wind, and solar power. Recently, Tabatabaian has helped to establish a new division at the Association of Professional Engineers and Geoscientists of British Columbia (APEGBC), the Division of Energy Efficiency and Renewable Energy (DEERE), where he offers many seminars on topics like wind power and turbulent flow modeling. Tabatabaian received his BEng from the Sharif University of Technology and later earned his MEng and PhD from McGill University. He also received a leadership certificate from the University of Alberta, holds an APEGBC PEng license, and is an active member of ASME. With around ten years of experience, Tabatabaian has been an active engineer in leading alternative energy, oil, and gas industries.